For those of you that don’t know what barefoot running is, it is in basic running with no cushioning. That means no running shoes that would dampen the impact of running. On the other hand you do need to alter your running technique to avoid injury. No, not like Phoebe . But it is very individual to how a body react to this type of running, so if you’re trying it out, listen to your body and read up on how to start-up and progress. 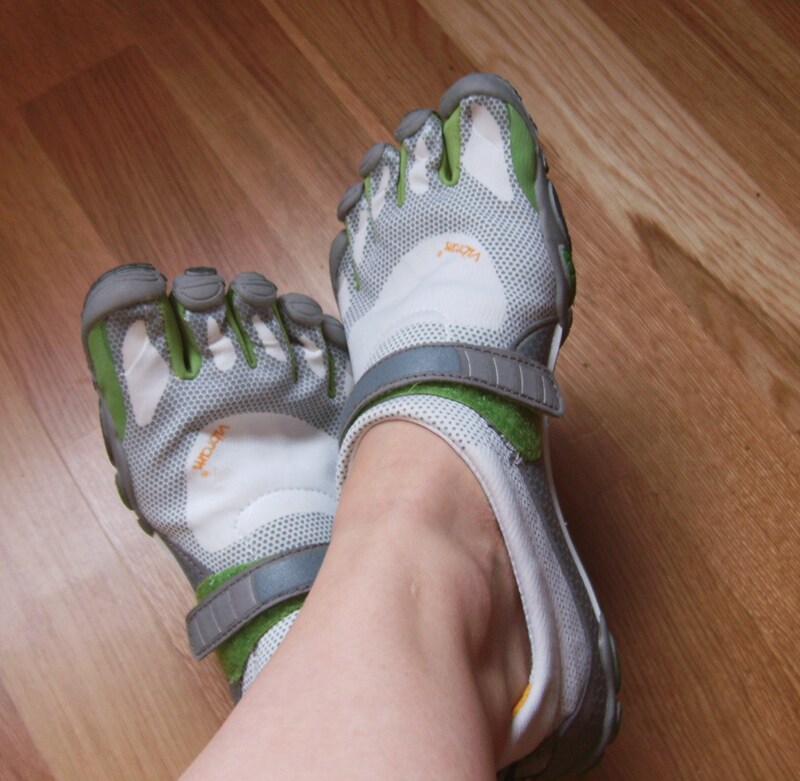 Some people literally run BAREfoot, this is not what I will be doing, I will be using Vibram FiveFingers. They have a protective surface to keep my delicate feet safe. The Bikila is created exclusively for a more natural running experience. The grounded feeling is really good, very natural, and I am very happy with them. As stated before I have no formal education in this matter, so what I write about here is only my personal experience, and it’s suited for me and the condition I’m in. There will be more posts on this topic later on. I want to know more about this type of running before I write about it. I wouldn’t want to give out wrong information. If you have any questions please leave a comment below or email me. If you would like to contact me with any questions or requests, please do. I will respond as quickly as I can.